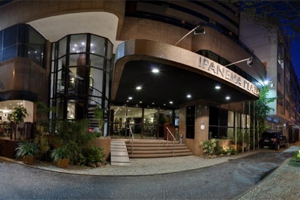 Located in the elegant neighborhood of Ipanema, the Ipanema Plaza is only 15 minutes from Rio’s financial center and 30 minutes form the international airport. The hotel has 88 rooms all sophisticatedly and comfortably decorated featuring luxurious furniture, central air condition, two line telephones, internet access, cable TV, mini-bars, electronic safes, and 24 hour room service. Also available for the guests enjoyment is a swimming pool, fitness center, dry and steam sauna, and a poolside coffee bar. 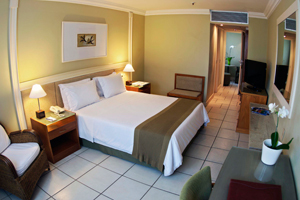 When would you like to stay at Ipanema Plaza Hotel ? 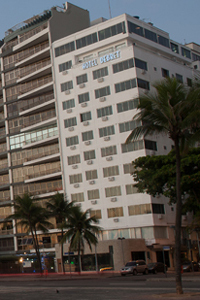 1) Rates at the Ipanema Plaza Hotel may not be valid during Carnival, New Years, Easter and other special dates.